Between Hebron and Bethlehem, beautifully located in the fertile central highlands of the West Bank, lies the town of Beit Ummar. Obviously, looking closely at it, each and every village, every town and every city constitutes a microcosm for itself, at the same time, however, Beit Ummar's condition is a telling example of the hardship of life under Israeli occupation, as well as of the tirelessness of the Palestinians to fight for their rights. The town of approximately 17,000 inhabitants is surrounded by five settlements, all of which are of an ideological nature. Approximately 4,000 dunums of land have been seized from Beit Ummar for the construction and expansion of those settlements, as well as for the bypass roads leading to them. The presence of the settler communities around Beit Ummar further legitimises the Israeli army's establishment of a security infrastructure around the town, including a high watchtower and permanent and so called flying checkpoints (checkpoints that are only established temporarily) which restrict and interfere with the movement of the residents to their agricultural lands, but also to the surrounding towns and villages. 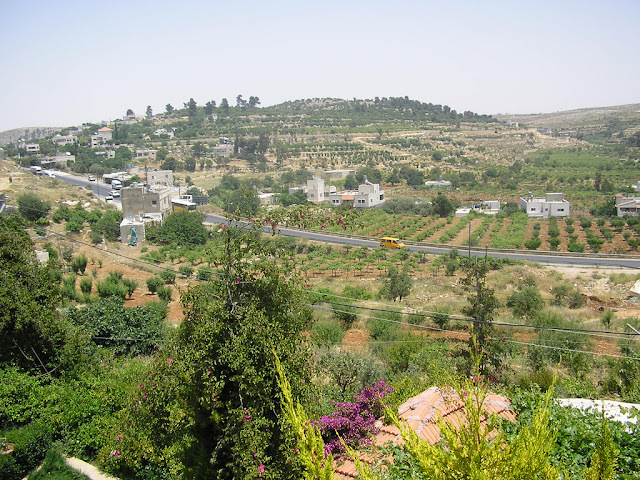 The continuing land confiscation, including the uprooting of thousands of grape vines, stone fruit and forest trees, as well as the movement restrictions affect especially the approximately 60% Beit Ummar residents, who rely on agriculture for their livelihoods. In the past, Beit Ummar hosted the largest fruit market in the southern West Bank. With the Israeli army blocking the entrance to the market, however, the farmers are now obliged to sell their products along Road 60 to passing traffic. Traditionally the residents of Beit Ummar have been very active in opposing the occupation of their lands through means of popular resistance; a great number of them has been injured or killed and hundreds of them are still held in Israeli prisons. In recent years, activists have been trying to return to models of organising prevalent during the First Intifada, which transcend political affiliation and which combine political struggle with social programmes and support. Palestinian activists from Beit Ummar, together with their partners from the surrounding villages aim particularly at defending farmers' rights and access to their lands. 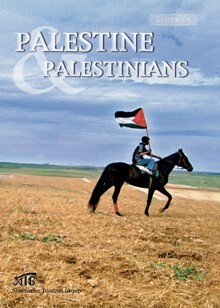 Many of the activities therefore include the accompaniment of farmers whose lands are closely located to settlements and are therefore frequently threatened by settlers, the re-planting of uprooted trees, or the working of those grounds that are in danger of being seized by the Israeli army. Beit Ummar is also the home of one of Green Olive Tours' partners, the Palestine Solidarity Project (PSP), established in 2006 and dedicating itself to “opposing the Israeli occupation of Palestinian land through non-violent action” involving also international and Israeli solidarity activists into the local grassroots struggle. Like so many other Palestinian activists, Mousa Abu Maria, one of PSP's founding members and a native of Beit Ummar, paid a high price for his political work and spent nearly five years in prison, 14 months of which he was kept under administrative detention, i.e. without charges or trial. Since his release in 2009, Mousa and his family have been threatened frequently by the Israeli army, but he nevertheless carries on with his political work. There is an endless amount of literature, of articles and documentaries about both the history and the current situation in Palestine, and we certainly recommend everyone to educate her/himself as much as possible. None of this can however substitute for actually being in the midst of the events and experiencing first hand what is happening on the ground, and especially for listening to the stories of those people, who too often only figure in statistics or are being given voice by someone else. 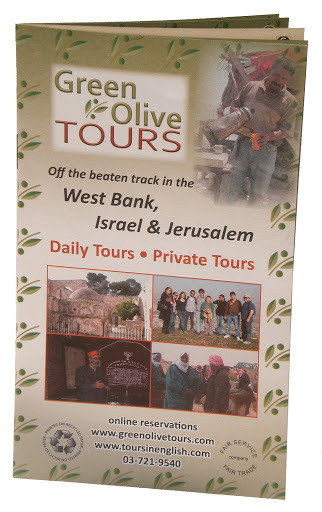 Beit Ummar can be visited on a Green Olive Tour. You can also make reservations at the Beit Ummar Hostel and spend time getting to know the villagers and their situation.